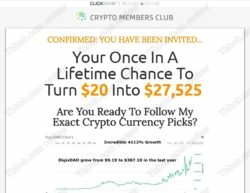 We noticed a surge of crypto trading programs sold through Clickbank, like Bitcoin University, Crypto Tech System, Crypto Code Club, Crypto Blueprint, Crypto Crusher and Crypto Members Club. 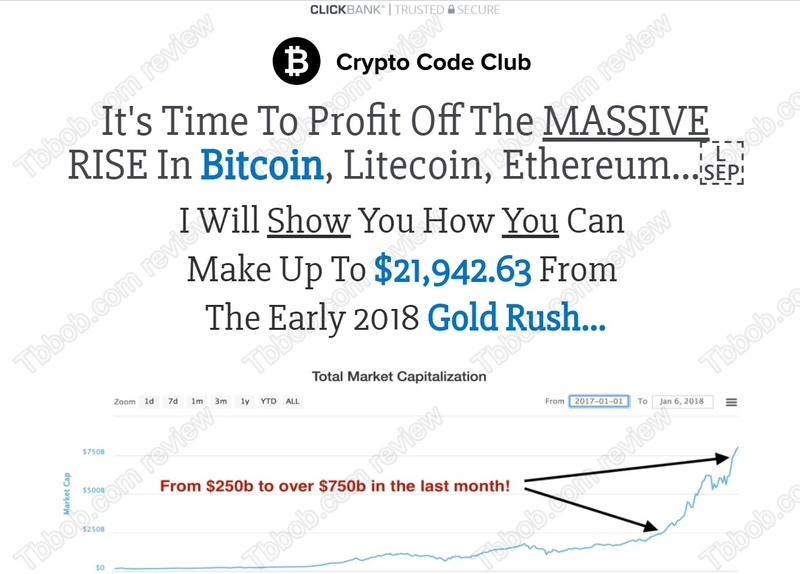 All these programs promise to make you money with cryptocurrencies, they cost some tens of dollars and very often look the same. So, how to deal with them? This is a big problem, because it is very easy to come afterwards and with hindsight say that you would be a millionaire, had you invested in this or that crypto. Anybody can look at charts and see that yes, cryptocurrencies were rising last year. But the same can be done with stocks of Google, Tesla, Microsoft and others. Had you invested in these stock years ago, you would be sitting on a nice profit now. With hindsight anybody can be an investment guru. But these so called gurus from Bitcoin University, Crypto Tech System, Crypto Blueprint, Crypto Code Club, Crypto Crusher and Crypto Members Club often forget to say that since the beginning of 2018 almost all cryptos are down by 50 or more percent. We were saying it already when cryptocurrencies were still rising, nothing goes up forever. Will cryptos go back up again? 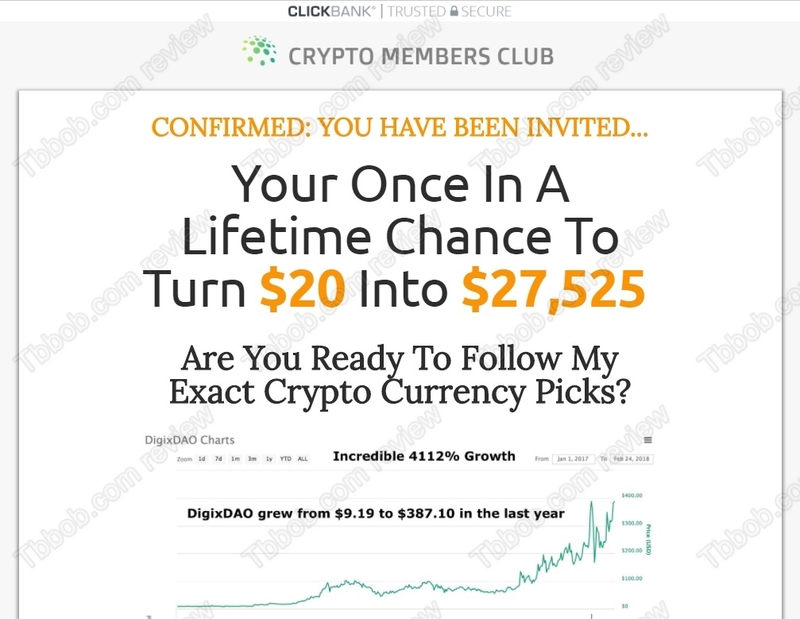 We think so, but nobody can say it for sure, certainly not these anonymous guys who are selling you their advice for a few bucks on Clickbank. They say that their advice can make you massive gains. 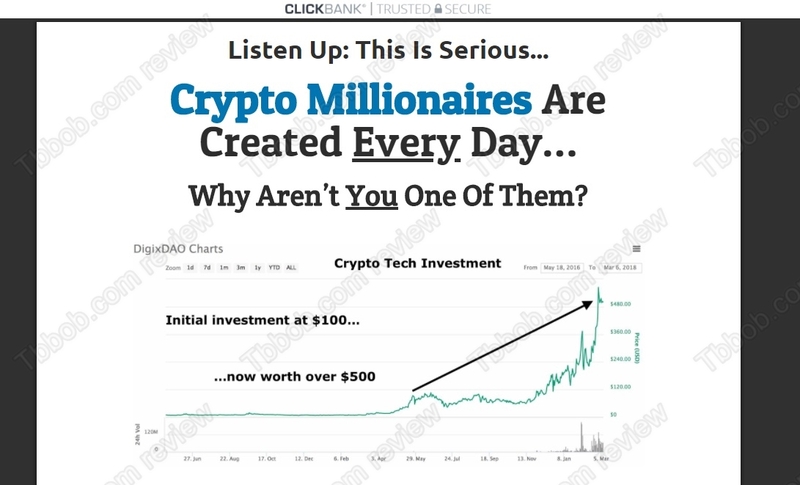 Now think of it, would you be selling trading tips that can make people millionaires through Clickbank for a few bucks and make several copies of your website with different names? We have to repeat it again and again, if somebody is selling you advice on how to trade and/or what to invest in, it is investment advice, which is a regulated activity. 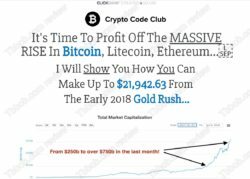 Yet services like Bitcoin University, Crypto Tech System, Crypto Blueprint, Crypto Code Club, Crypto Crusher and Crypto Members Club are anonymous and unlicensed, therefore illegal investment services. 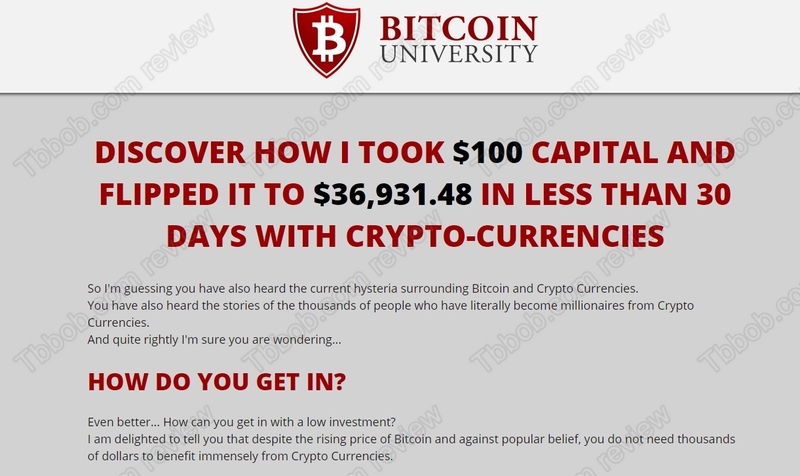 Bitcoin University, Crypto Crusher, Crypto Blueprint, Crypto Tech System, Crypto Code Club and Crypto Members Club are hindsight crypto gurus that are providing illegal investment advice. It is better to stay away from them. If you are interested in trading cryptocurrencies for profit, try it on a free demo with a regulated broker. You will see that it is not that easy to make good trades, you have to learn a lot of things and understand all the risk. Don’t think that anybody will make you a millionaire for $37.